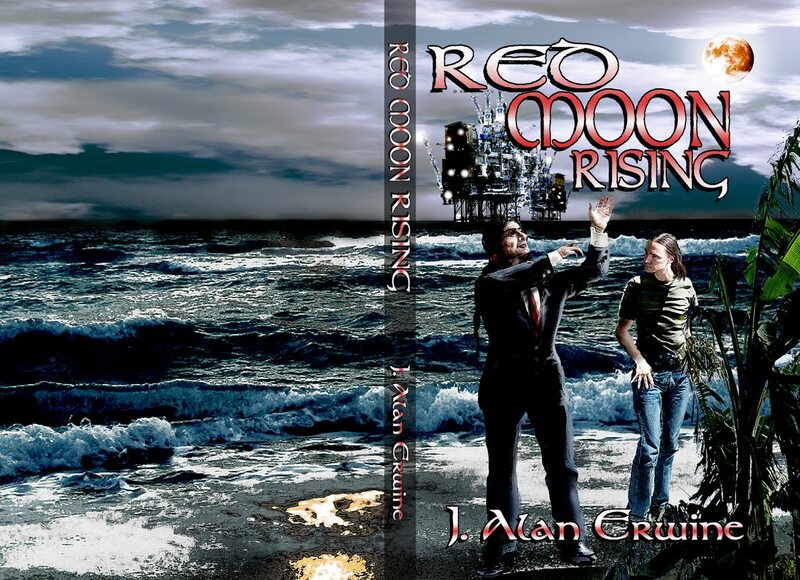 I have a limited number of copies of Red Moon Rising available that I can sign and send off to anyone that's interested. When I say limited, I mean limited. If you're interested in ordering a copy, please go to http://www.jalanerwine.com/signedcopies.htm, and order today. Please let me know if you just want it signed, or if you want it personalized. Thanks for reading, and hope you're all enjoying the new book. I've had some people comment that Charlie Chases Crows' dialog in the first chapter of my new book sounds a bit stilted. My new novel is now available at Amazon as well. You can find it at http://www.amazon.com/dp/0982897588. As of the writing of this blog entry, Amazon has not yet reduced the price, but I'm expecting that they will...especially given the huge discount that Barnes & Noble is giving. Barnes & Noble now has copies of Red Moon Rising available. This is a trade paperback, and the normal list price for the book is $12.00, but at the time I'm writing this blog entry, they have it listed for just $6.94. I don't know how B&N does their pricing, but I know that price could change at any time. I hope some of you will pick up a copy, and I hope you'll enjoy the book. For those of you who have ordered copies of my new novel, Red Moon Rising, copies should be shipping from the publisher by the end of the week. For those of you who haven't ordered your copies yet, what are you waiting for? You can currently order them from The Genre Mall, and we should have an Amazon link very soon. If you want to read the first chapter of the book, you can read it at http://www.jalanerwine.com/rmrch1.htm. Sam's Dot Publishing is now diving into the e-book market, with me as the e-book editor. We've released two novels so far, but a lot more are planned for the future, and we may even start releasing some of our print zines as e-books. All of the books we are doing right now are also available as print books, so we are not trying to become solely an e-book publisher. To keep up with all of the future releases, please visit our Smashwords page at: http://www.smashwords.com/profile/view/samsdot. I've had several people tell me that they can't read e-books because they don't have an e-reader. This actually isn't a problem. Kindle makes apps available for pcs and a lot of other e-readers do this as well. My older books, as well as my new book have all been set up as e-books through Smashwords. In addition to the normal e-reader formats, they also make books available in PDF, HTML, and text. Not everyone has a PDF reader (although that's hard to believe,) but everyone with a computer has the ability to read HTML (web pages) or text files, so there's no reason to avoid e-books. So, go ahead and buy Red Moon Rising and let me know what you think. 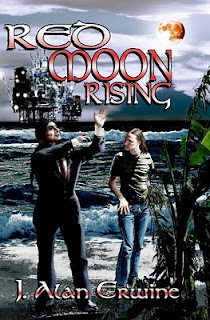 You can now get an e-book version of Red Moon Rising for $4.95 from Smashwords. In the coming weeks, the e-book will also be available from other distributors. Red Moon Rising is here! 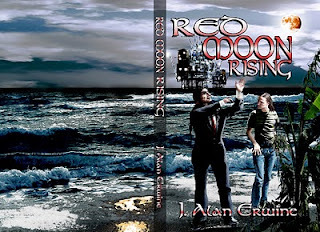 My new novel, Red Moon Rising is now available from Sam's Dot Publishing. At the moment, you can order copies from The Genre Mall, and they should ship by the middle of the month. In the next couple of days I will hopefully be posting links so that you can order the book from Amazon, or so that you can order the e-book version from Smashwords. J Alan Erwine takes you into a future environmental nightmare that is not only all too possible, but is in fact well on the way there. The air and seas are filthy with pollution and oil spills, the U.S. Government is an effete and toothless replica of its former self, and business decides which rules they will allow to be enforced. Corporations lie, people die. Including Erik Singer's brother Jeromie, killed while seeking evidence against an oil company regarding their spills in the Gulf. After five years, Erik has had enough of wallowing in loss and self-pity. Emboldened by the words and visions of a Native American environmentalist, Erik is ready to act. And he has colleagues. The reluctant mayor of Tampa. The daughter of the most egregious industrialist. And a tree-hugging terrorist. Can just four people make a difference? You can read the first chapter for free here.